As an audiophile you want to carry a pair of headphones which sound amazing. Now, there are lots of headphones available on the market so what is the problem. One major problem with the headphones is that the wired ones get tangled easily and the wireless ones don’t sound great. The ones which do sound amazing are way too expensive. So, what’s the solution? 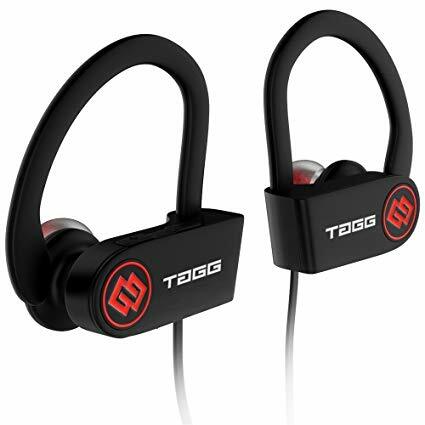 If you are a music buff then you ought to try the TAGG inferno Bluetooth headphones once. 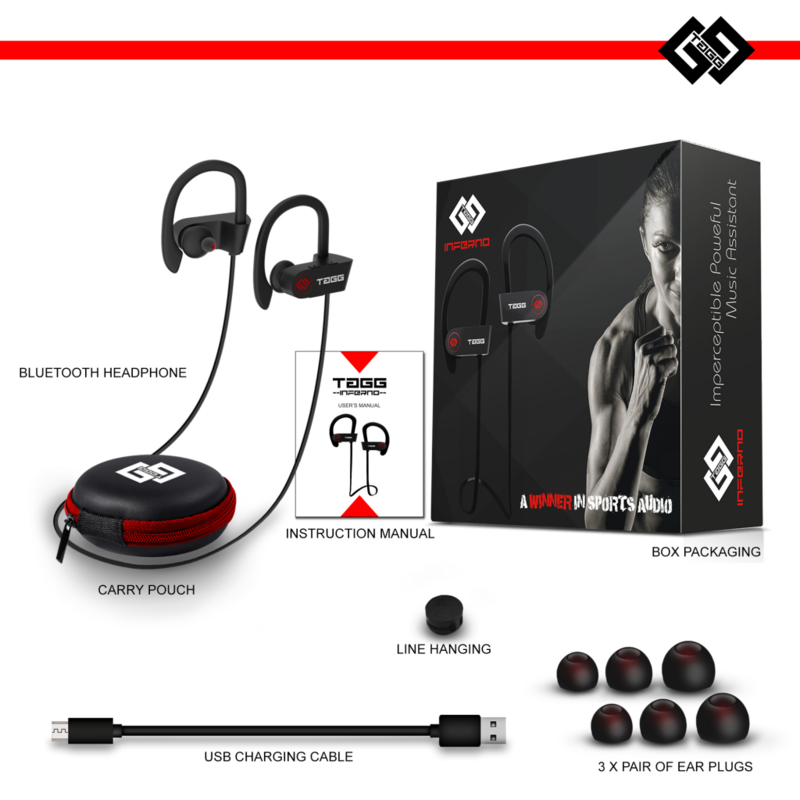 These are one of the best products made by 4Com Technologies as they are not only light weight and comfortable but also sweat resistant making them an excellent choice if you are looking for a pair of headphones to use during a workout. The headphones cost ₹2499 but you can use the Amazon Coupons to get them at a lower price. Now, that we know the basic details about these headphones let us go through an in-depth review of the device. The TAGG inferno Bluetooth headphones are designed while paying attention at its aesthetics. This makes the headphones not only appear stylish but also comfortable to put on. The outside of the headphones has a TAGG branding on a cushioned surface to provide a comfortable experience. The lightweight design with the brilliant craftsmanship makes them an ideal device for the people who want a great experience while looking stylish. It looks just as great as the over the ear headphones but weighs only 1/10th of its bigger counterparts. So, if you are looking for a small and comfortable headphone with great music quality then TAGG is a great choice. The best thing about this pair is the wireless connectivity which means you don’t need to fiddle with the wires whenever you want to put on the headphones. Using them is extremely simply, all you need to do is switch on the headphones and your paired phone or laptop will connect to them automatically. Now, you can listen to your favourite songs or receive calls without any hassle. There are three buttons on the left earpiece. These allow you to turn on and turn off the headphones (By pressing the power button for three seconds). The same power button can be pressed once to either receive of end a call. The volume buttons can be used to increase or decrease the volume of the earphones or mic while you are listening to the songs or talking on the phone respectively. Noise Cancellation: The earphones are extremely popular due to their noise cancellation ability. The feature gives you the perfect music experience by reducing the unwanted background noise. This makes them great if you are in a busy environment and need to take a call. Sweat Proof: Most of the earphones are marketed as water proof whereas TAGG markets these as sweat proof. This means that where the other headphones offer no protection from sweat TAGG inferno are the perfect partner when you need to work out. Great Battery: The TAGG inferno come with a 100 mAh battery which provides a playback time of up to 8 hours on a single charge which just takes a couple hours. Just ensure that you use the charging cable included with the headphones for the best performance. LED indicators: The headphone comes with LED indicators to tell you the status of your headphones. RED color indicates that the headphones are being charged. A BLUE LED signifies that the headphones have been charged completely. The RED LED will blink twice every four seconds accompanied by a voice telling you that the battery is low. RED and BLUE LEDs will blink together when the device has been paired. But the question remains, how do they sound? The answer is that if you are an audiophile then you would love the headphones. It has superb bass and there are no sound distortions even at the highest volumes. The highs and mids are also great. It would even seem like you are having a home theatre in the room. You would definitely love these headphones once you start using them. The headphones will come in a great packaging. Inside the box you will get your set of headphones, a carrying case, instruction manuals and warranty papers, charging cable, three pairs of earbuds and a clip. How to use the headphones? I guess you got excited enough to buy the headphones. Go ahead and buy them and don’t forget to use the Amazon Coupons to get the discount. Assuming that you have ordered the headphones and are looking for the instruction on how to use them then read ahead. First of all, you need to connect the headphones to your phone or laptop which is fairly easy. Turn on the headphones by pressing the power button for 3 seconds. A voice will notify you that the device has been switched on. Second step is switching on the Bluetooth of the device you want to connect with the headphones. On searching for the nearby devices, you will see the TAGG headphones in the menu. Click on it to connect to the headphone. You will hear a voice saying that the device has been connected. You are all set to stream audio to the headphones. Just make sure that you stay within the range of the transmitting device. The maximum range is 20 feet. The headphones are extremely affordable as they cost around ₹2000. The headphones offer superior sound quality compared to its rivals at an unbeatable price. So, if you are an audiophile and are looking for the best headphones which don’t burn a hole in your pocket then TAGG inferno Bluetooth headphones are the perfect choice for you.